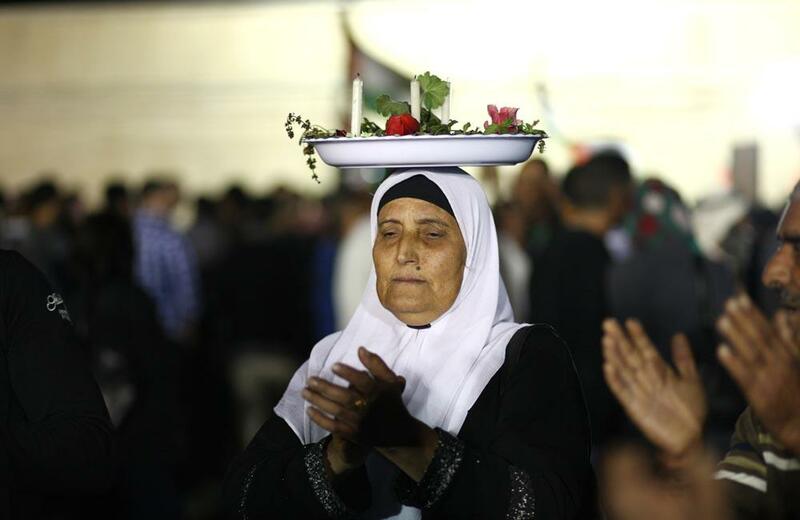 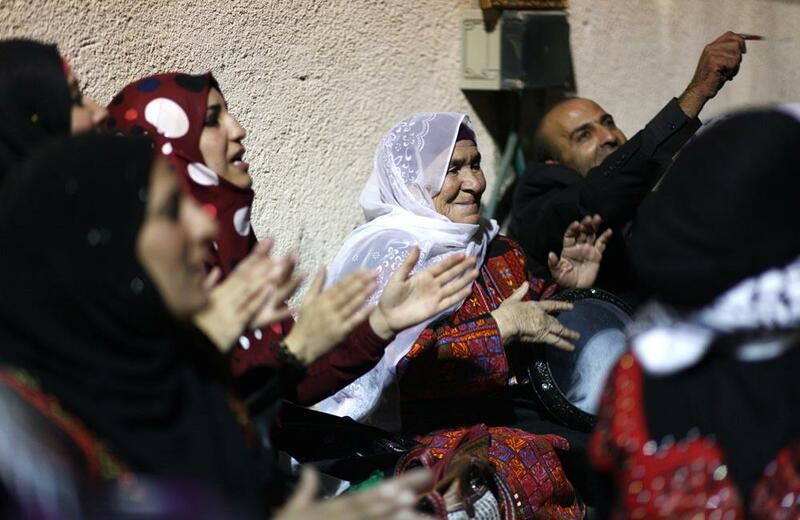 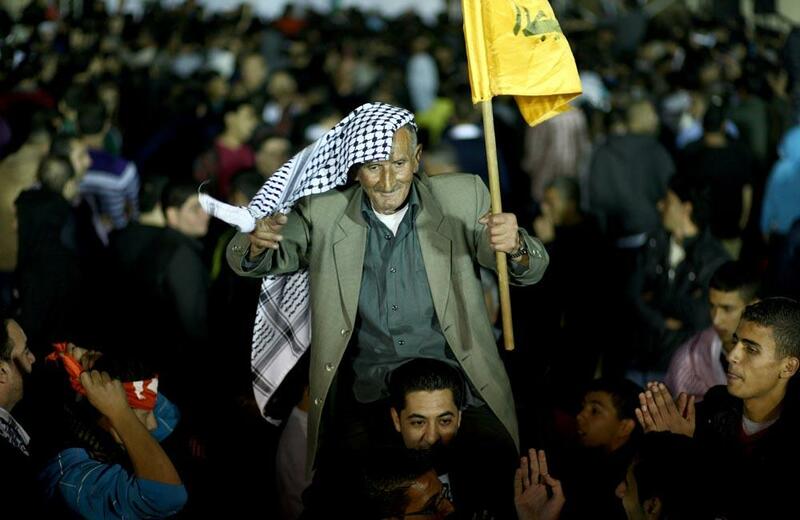 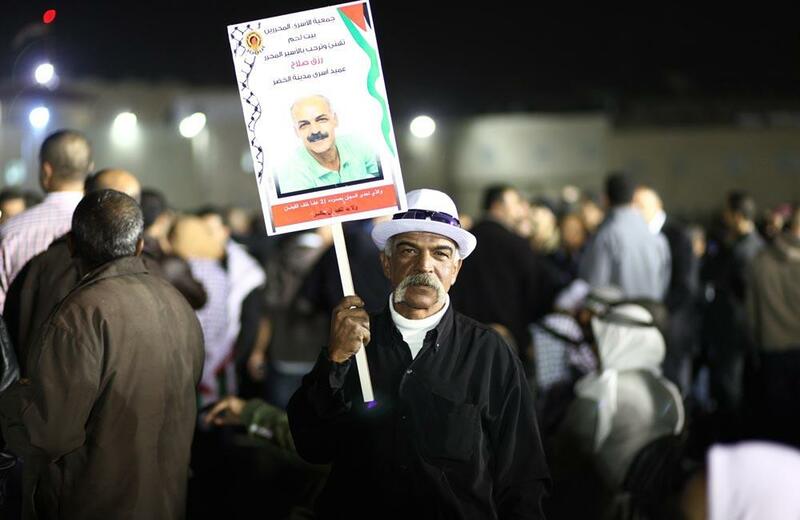 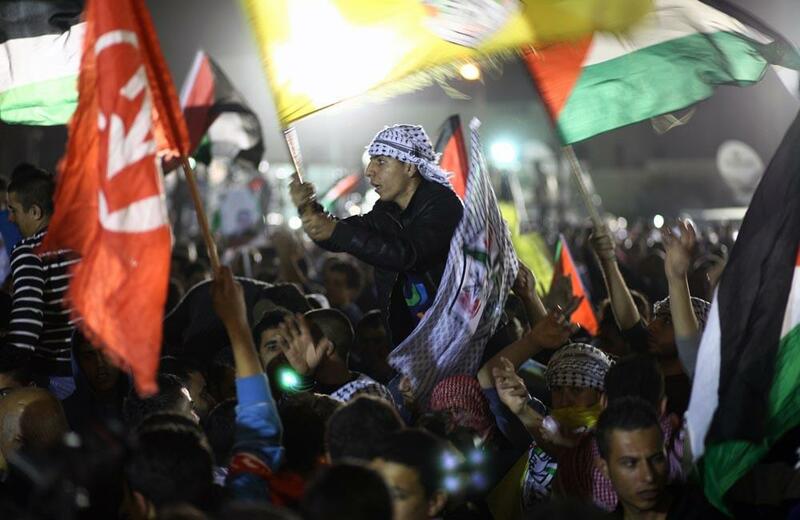 Palestinian families and friends celebrate as they gather outside the headquarters of president Mahmud Abbas for the release of some 26 prisoners from Israeli jails in the West Bank city of Ramallah on October 29, 2013. 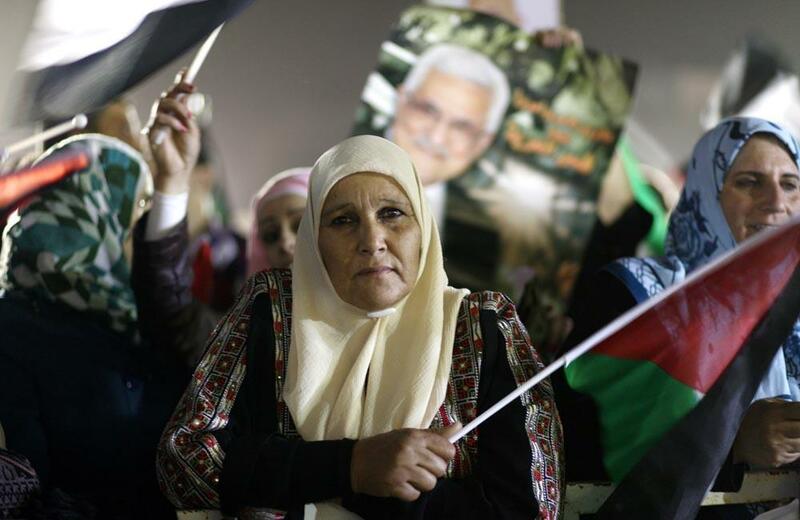 Israel was preparing to release 26 long-serving Palestinian prisoners, the second batch of 104 inmates who are to be freed in line with commitments to US-brokered peace talks. 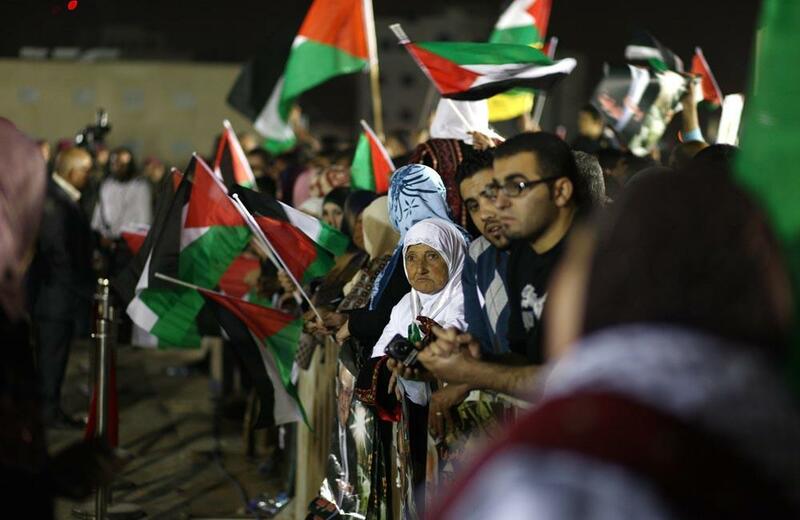 → How the US is Bankrolling Israel.